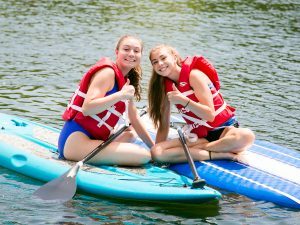 Reflection Lake is the place to be at Pocono Springs! 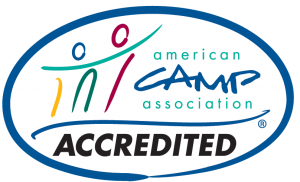 Our completely private, spring-fed lake is located in the heart of camp, and our Red Cross-certified lifeguards provide a safe environment for campers to experience our extensive Waterfront Program activities like waterskiing, wakeboarding, kayaking, and stand up paddle boarding. Campers love our aqua playground with plenty of inflatables for some extra fun in the sun! 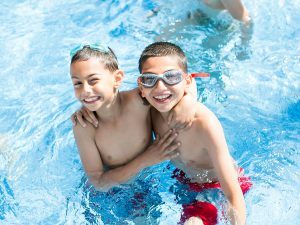 In addition to our lake, Pocono Springs also features a spacious outdoor heated pool for instructional swimming and plenty of free swim with friends.